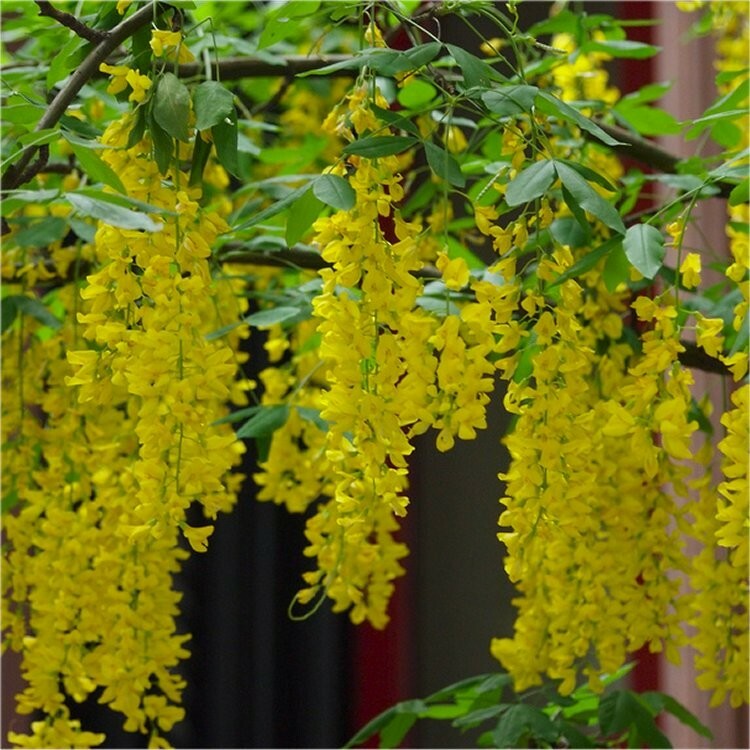 Laburnum is an easy to grow tree that will make a lovely specimen in any size garden, being easy to maintain at a small size, even as a large shrub if required, or allowed to grow larger. It will also bloom at a very young age, even when less than a metre tall flowers can be expected. 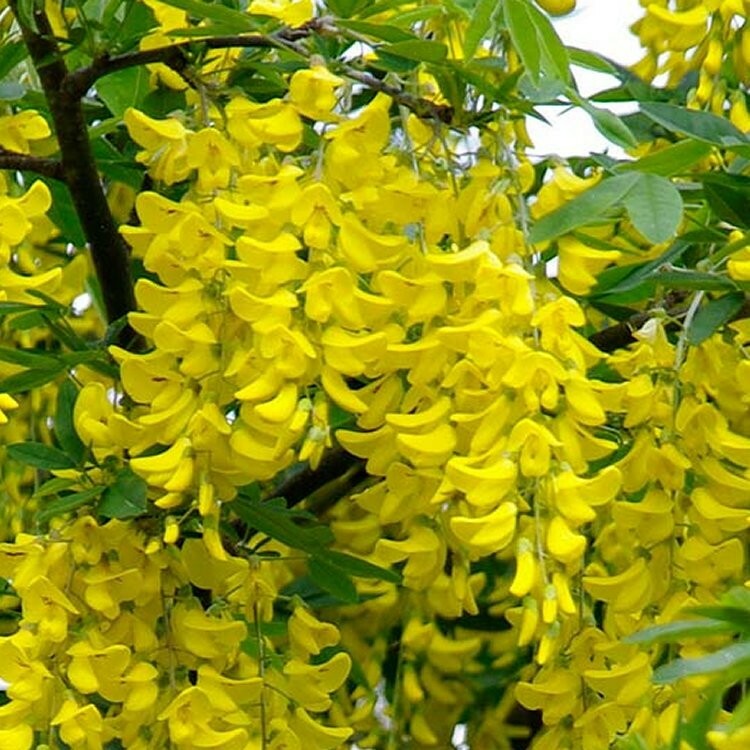 Known as the Golden Rain Tree, it will thrive in a bright, sunny well drained position. 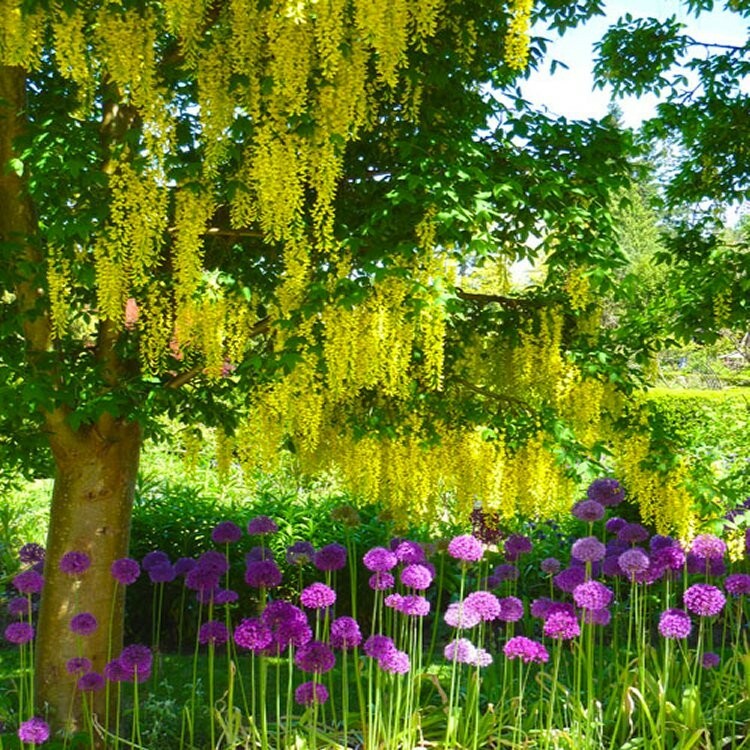 This variety is probably the most popular of the laburnums now planted in gardens mainly due to the long chains of hanging flowers, vivid golden yellow in colour, and hanging up to 60cms (2ft) in length. 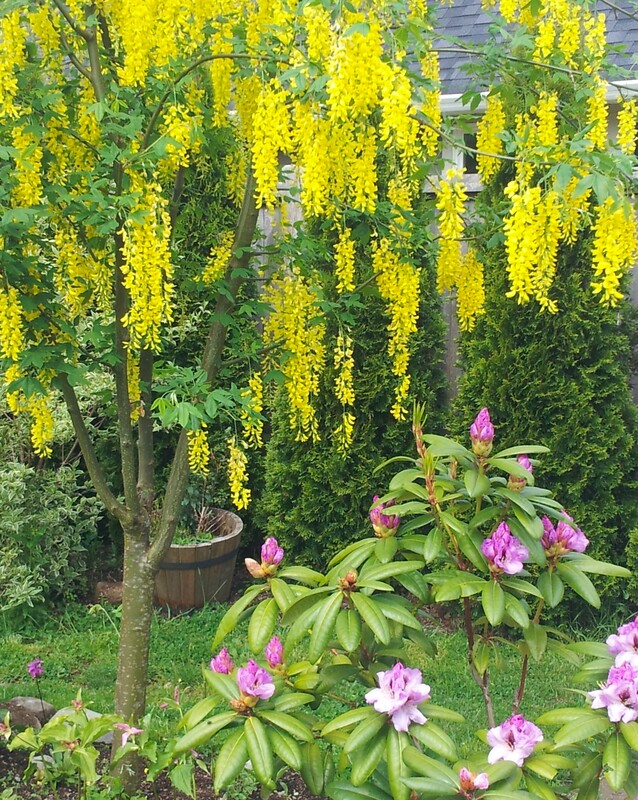 Laburnums generaly flower in June and it is of course these that lend it the name of the ‘Golden Rain Tree’. If allowed to, it will quickly grow to a maximum height of around 6m (20ft). Supplied in approx 4-5 litre containers at around a metre tall, with buds and flowers in season.